Full Time Live Out Nannies who assist with weekly needs and are between 40-55+ hours per week are provided at a fee of 14% of the Nanny's anticipated gross annual salary with a minimum of $3,400. Full Time Live In Nannies who assist with weekly needs between 50-60+ hours per week are provided at a fee of 14% of the Nanny's anticipated gross annual salary with a minimum of $3,400. Part Time Live Out Nannies who assist with weekly needs at a minimum of 25 hours per week all the way up to 39 hours per week will fall under the category of a part time nanny. They are provided at a fee of 16% of the Nannies anticipated gross salary with a minimum of $2,800. 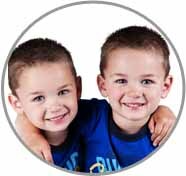 In order to become registered and begin your nanny search, ABC Nanny Source only requires a valid credit card authorized for the minimum fee to initiate your Nanny search. You can anticipate reviewing candidates within 24-48 hours from registration.